Foto: CH, Tessin, Orselina, 450 msm, 5.9.2013. 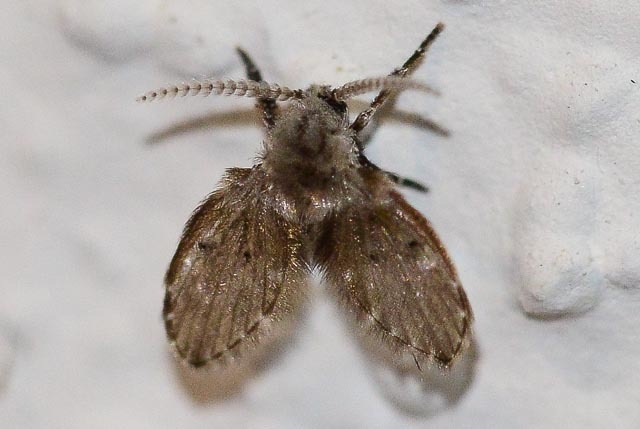 Clogmia albipunctata. Psychoda alternata is much lighter in colour and has the wings parallel over its back.